Students chosen for our nursing programs learn quickly that they are being educated for a 21st century profession. We integrate the art and science of critical thinking, communication, ethics, health advocacy, caring alternative healing methods and culturally appropriate care. We emphasize basic holistic nursing concepts and skills, wellness and ways to address the changing needs of clients, families and communities. We partner with agencies across the state to give our students rich and diverse clinical learning experiences in their final one-month capstone experience. The bachelor's degree in nursing at St. 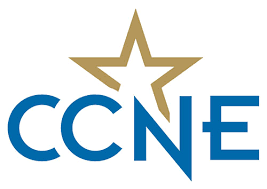 Cloud State is accredited by the Commission on Collegiate Nursing Education, 655 K Street, NW, Suite 750, Washington, D.C. 20001. 202-887-6791. The program is also approved by the Minnesota State Board of Nursing. Our nursing graduates are qualified to take the National Council Licensure Examination for Registered Nurses (NCLEX-RN) and earn certification as public health nurses. School nurse licensure is also possible. Our students find opportunity to travel and study through a partnership with a nursing program in Concepcion, Chile. Students use our simulation lab to learn how to use the latest equipment in the field. Internships offer our students a chance to practice what they've learned in a mentored setting.